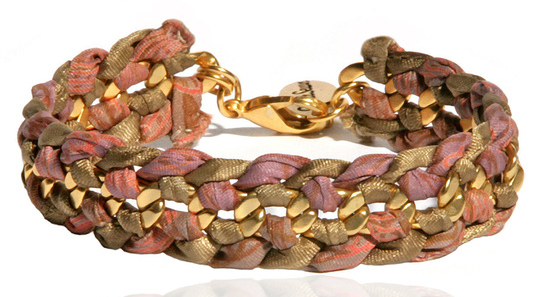 These gorgeous bracelets are made from vintage Indian saris and interwoven with gilded chain. 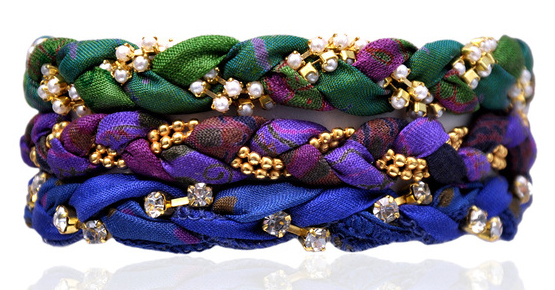 The stacked bracelets are made by Greensewn and come in a range of styles and colours with prices ranging from £19.50-£51. Purchase now via Fab.